You probably know probiotics as the "good bacteria" which is essential to the health of your digestive system, immune system and overall well being. These live microorganisms aid in digestion, improve colon health and can even reduce the severity of illnesses like the cold and flu.A plentiful amount of probiotics in your body will help to suppress the growth of harmful bacteria. According to the American Academy of Dermatology, probiotics might be the next big beauty breakthrough in helping to promote clearer skin and decrease skin sensitivity, redness and inflammation. 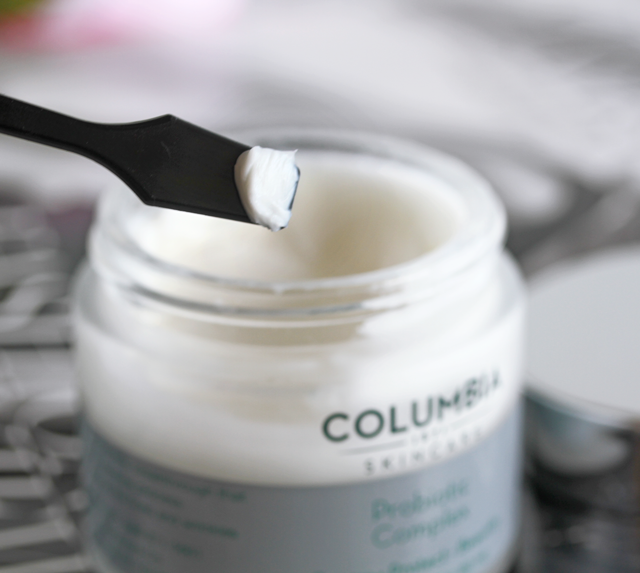 Columbia Skincare est. 1871 has the distinction of being the oldest skincare company in the US and they have developed their Probiotic Concentrate and Probiotic Complex as the first skincare solutions to harness the wellness benefits of probiotics with topical specific bacteria that have been specifically formulated to enhance the skin's natural ability to renew itself. The science behind this range actually came about six years ago when the company was testing combinations of natural ingredients that could give burned skin the ability to rejuvenate itself. This led to a discovery that did just that with an added benefit of also reducing the signs of aging on healthy skin. Probiotic Concentrate and Complex both contain a proprietary formula comprised of probiotics, plant stem cells and peptides (amino acids) which all uniquely combine to work with body’s natural ability to regenerate healthy skin cells and accelerate skin barrier recovery. 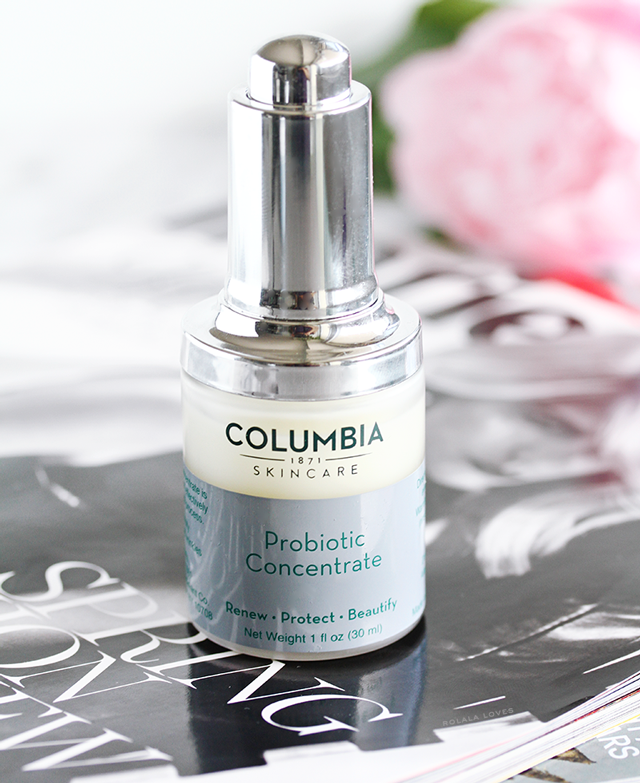 Columbia Skincare Probiotic Concentrate ($190) is a concentrated serum that effectively accelerates and improves the skin renewal process. The product is house in a heavyweight glass bottle with a glass dropper for hygienic dispensing. This serum has a silky, viscous texture and a barely discernible plant-like scent. It feel slightly tacky and cooling upon application. Once absorbed, it virtually disappears. I mean it feels like nothing which is a little odd but pleasant at the same time. Because of this, it works well under makeup. 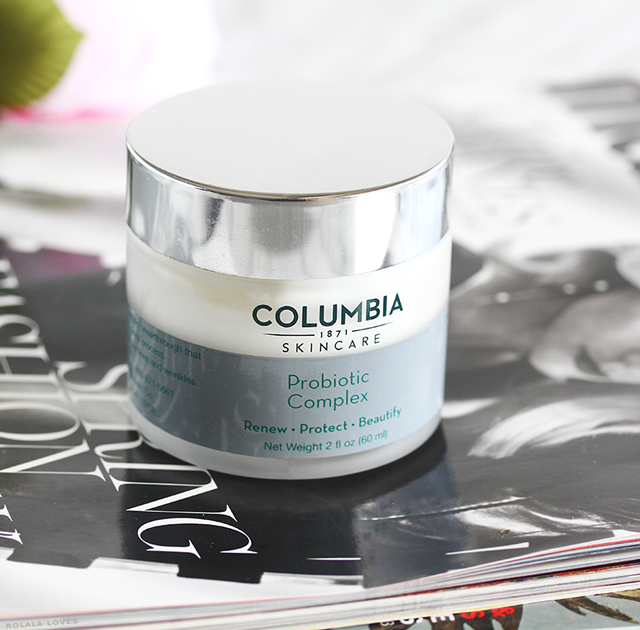 Columbia Skincare Probiotic Complex ($165) is an innovative probiotic cream that works to accelerate the skin renewal process to enhance luminosity and reduce fine lines and wrinkles. the product comes in a jar with a screw off top. Note the spatula in the photo is my own as one was not included but should be. This is a fairly thick cream with a velvety texture. It absorbs almost instantly upon application with a silky weightless finish. The hydration properties of this cream definitely feel more watery than emollient. While it does moisturize, this is not one of those moisturizers that can be used an occlusive barrier. I've been using this duo during the daytime exclusively for a few weeks because I have another routine going in the evenings. These two products work best when used in conjunction. My only issue is that they don't feel rich enough for my dry skin so I do layer on a propolis ampoule and another moisturizer when I use them to avoid potential dryness. I haven't had any reactions or sensitivity when using these products and I haven't broken out once. Because it is so lightweight, I also had my husband try the duo to see how it would address his rosacea and I will say that we've seen more visible results on his skin than mine and it's also easier to attribute the changes to these products. Alot of serums and moisturizers tend to be too heavy for his skin but that wasn't an issue with these. Since incorporating then into his skincare routine, there has been a clear improvement in the clarity and texture of his skin and it appears smoother. These products have also helped with the redness that often occurs with rosacea. This has all ben encouraging to say to say the least. I'm definitely big on probiotics in my daily diet (fermented foods yeah!) because I believe that good digestive health is a major contributing factor to overall wellness. And I'm excited to see the benefits of probiotics expanding into skincare. This range takes an approach to skincare that focuses on health over cosmetics which is refreshing and forward thinking in terms of the shifting paradigm that healthy skin is beautiful skin. 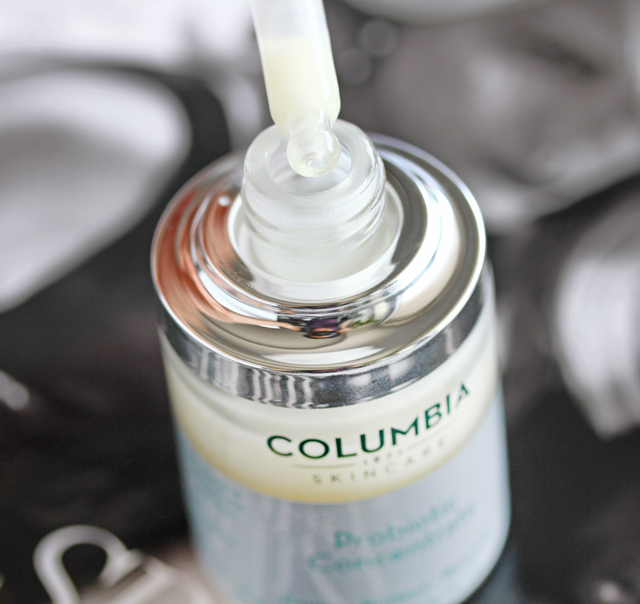 Columbia Skincare Probiotics products are available through Columbia Skincare. Purchase either probiotic product and receive a FREE moisturizing cream, a $38 value when you use code: ProbioticGift at checkout. What do you think of these products and probiotics in general? 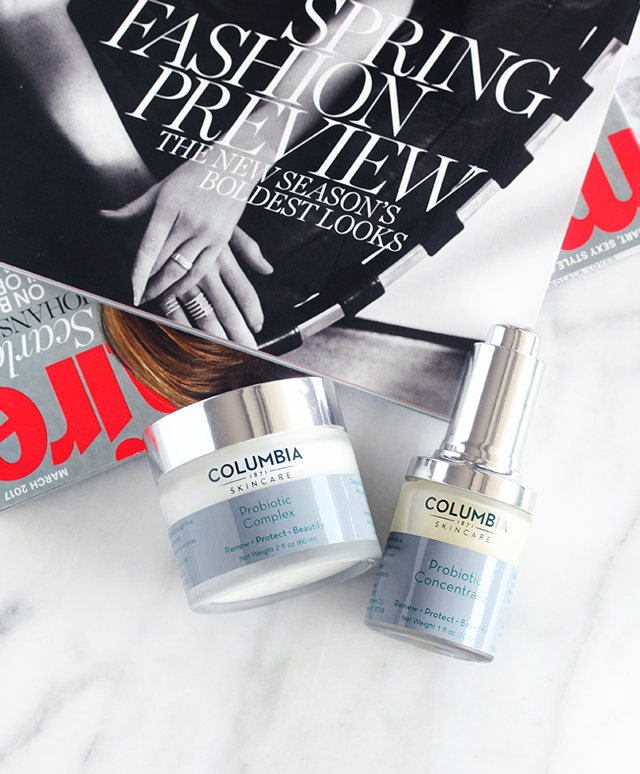 Disclosure: This post is sponsored by Columbia Skincare and features complimentary PR samples received for review. All words and opinions are my own. For more details about my product review policy, copyright, and information about affiliate links, please refer to the Policies page of this blog. I take probiotics for my tummy but I never thought about taking them for my skin. I’ve been dealing with a massive breakout the last few months and I’m desperate. I’ll try anything to get my soft supple, acne free, skin back. Probiotics are great for healthy skin, especially for things like rosacea and such, but the main research is to orally ingested probiotics. The benefits of topically applied probiotics are not topic of many studies that pass the requirements of good clinical practice and evidence based criteria, so I personally am not convinced. Orally yes, topically? We will see. But even if they had no other ebenfits, they for sure are powerful antioxidants and that is good reason alone to have them in your skincare. Never heard of this brand but it sounds promising. I use drinks with probiotics in them so I'd love a skin care item for probiotics in them too. I have dry skin as well so I'd probably need a moisturizer as well. Enjoyed reading your honest review for this skincare product, but I rather eat and using DIY yogurt masks myself! Columbia is a new brand for me. these products sound very interesting and I have to try them. I love probiotics in skincare!! I am a huge fan. This sounds like a great line. This seems very cool for the skin! I want to try! I have never heard of probiotics in skincare. Sounds interesting. Rowena, I am so glad probiotics are working their way into skincare! This is great! We know how well they work for digestive health, so they should be excellent for skincare as well. I like how light these are and they seem to be effective as well. Thanks for this review. Hmm I had not heard of pro-biotic skin care before but it makes sense. I will have to consider this when I need a serum. It is a bit expensive but it sounds promising. These products are amazing!! Thanks for sharing. They look great and more importantly, effective. It's awesome that it worked so well on your husband. this is very interesting...I take my probiotics daily, but I have never considered their possible usage in skin care...but why not? A daily intake of good bacteria is important for our immune system...and our skin sure can use extra care considering to what it gets exposed in an urban environment most of us live in.